Drupal Camp Connecticut 2010 Saturday, August 28th, 2010 at Yale University. Drupal Camp Connecticut 2010 was just fantastic! We thank our sponsors, our hosts, our presenters, our volunteers and our attendees for coming together to create an exciting, informative and inspiring event. We're fortunate not only to be working with a fantastic open-source CMS but also to be working within a passionate and very highly-skilled community. We have created a webpage containing links to session slides that were made available to us by presenters. Thank you for your participation. 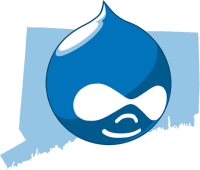 We hope to see you all at our next Drupal Camp Connecticut in 2011 if not sooner! Do you have a session you would be willing to present?